« Chemical communication in tilapia: the female point of view? 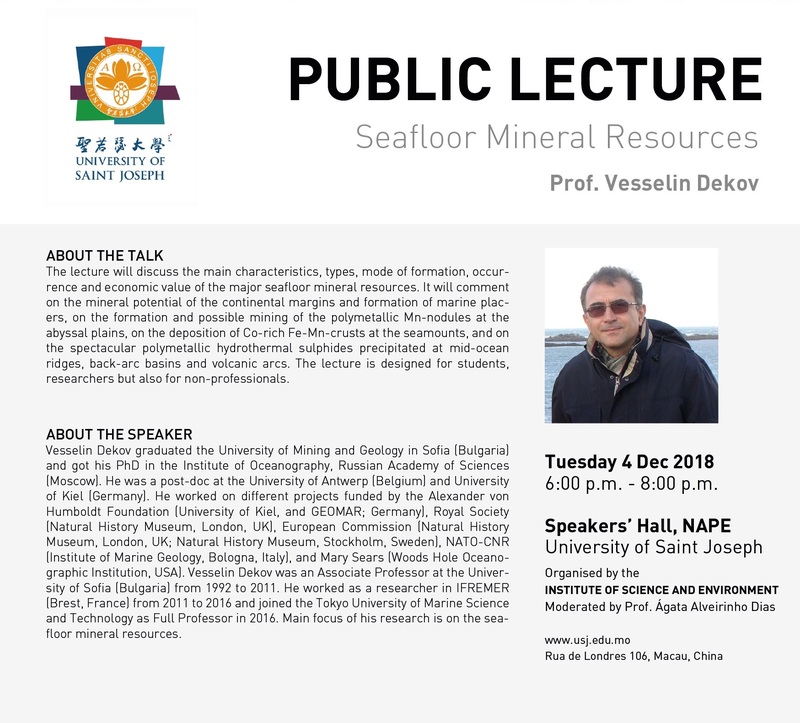 The lecture will discuss the main characteristics, types, mode of formation, occurrence and economic value of the major seafloor mineral resources. 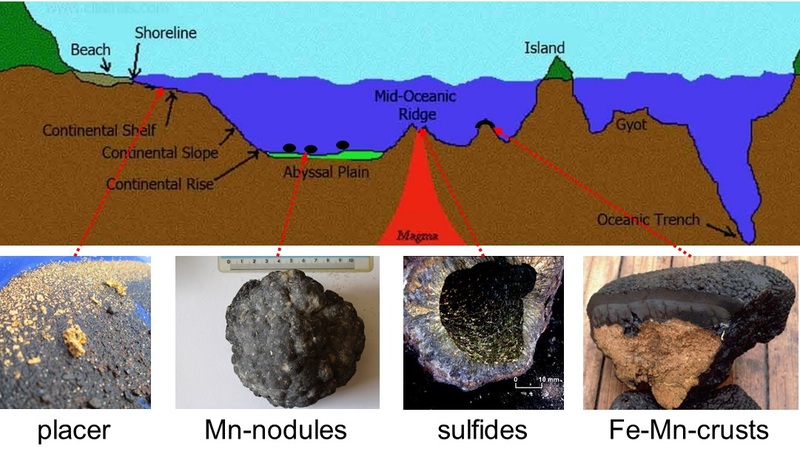 It will comment on the mineral potential of the continental margins and formation of marine placers, on the formation and possible mining of the polymetallic Mn-nodules at the abyssal plains, on the deposition of Co-rich Fe-Mn-crusts at the seamounts, and on the spectacular polymetallic hydrothermal sulphides precipitated at mid-ocean ridges, back-arc basins and volcanic arcs. The lecture is designed for students, researchers but also for non-professionals.